Withdraw Japanese Yen at post office? 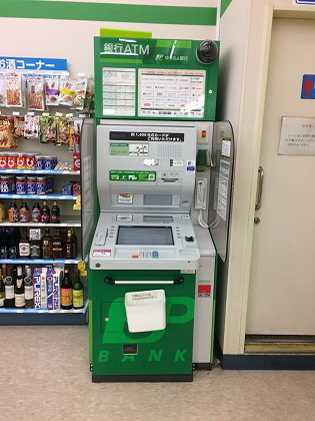 You can withdraw your money in Japanese Yen at Post offices and Family Marts (convenience stores). - Location 24,000 stores & 27,300 ATMs. - Location 500 stores & 27,300 ATMs. You don't need any tips for special services. No tip for a doorman. No tip for a bell captain. No tip for a porter. No tip for a waiter and a waitress in any restaurant. No tip for a taxi. 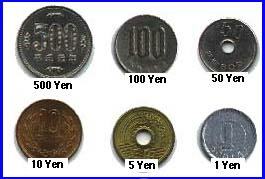 You are free of warring about Tips in Japan. but in this case the service fee is already in your bill automatically. In special occasion, you may give some money for the best hospitality for taxi driver, Ryokan maid. Right side and left side on top of bill, you can see "5000"
Right side and left side on top of bill, you can see each value of "1000", "5000" and "10000"
Some vending machine doesn't accept 500 yen coin because of counterfeit 500 coming. Consumption Tax (Sale Tax) is 8 %. Many expressions of price are allowed. A price shows real price without tax and sales tax with small tex besides. So you need to pay 8 % more than the price tag. Some shops include this tax in their list price. It is be really complicated for visitors. It is called as PSFC (Passenger Service Facilities Charge). This charge is included to your air ticket now for passengers for Narita Airport. You need to pay 2600 Yen at Kansai KukoAirport when you fly out. You need to pay 2500 Yen at Chubu Centreir when you fly out. It is included already in your flight ticket. 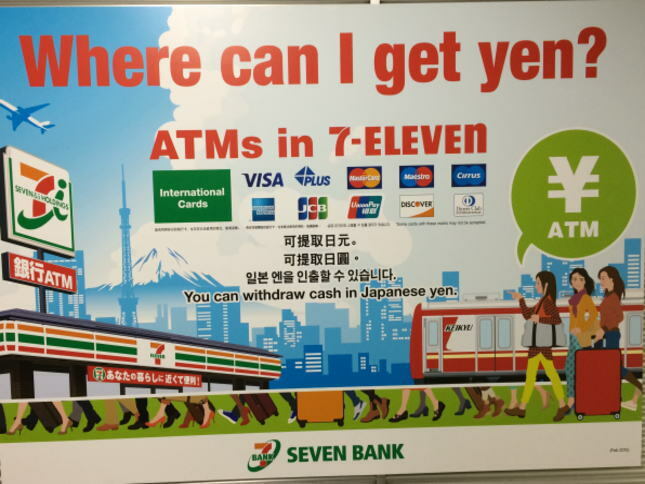 If you have spent all your Japanese Yen, you can pay it with your credit card. Some of receipts are printed in Japanese. So you had better to write the memo on it as soon as you receive it. This is an example of Japanese type receipt. in Japanese "Kanji" even numeric number and date. You had better to write down the total amount on it. Or keep your Credit Card receipt. Above receipt shows the date as 9/5/23. It doesn't make sense of May 23 in ????. We use Anno Domini yearand Japanese one both. you need to correct the date to your style. Following are the tips for lower budget travelers. Convenience stores are the best place to buy breakfast and lunch to save money. There are many stores within 5 minutes walk when you are in big cities. If you can't find it, ask young people "Where is Convenience?". "Convini" in Japanese is the shorten word and much popular than "Convenience Store". Some stores have the space for eating. You can buy "Oden" there. Muffin, Sandwich, Onigiri, Juice, Milk, Coffee, etc. For long distance travel, Shinkansen is fast and convenient but expensive. This tickets are valid for JR local trains only and only one day. 5 tickets costs you 11850Yen. 5 people can use one day or one can use 5 days. You can use all local trains from a.m. 00 o'clock to midnight. There are overnight trains operating by JR and they are very useful for you to use. Consult with the JR timetable, you can go to Kyushu from Tokyo with 2370 Yen. It is another option to purchase JR Rail Pass. There is no bed. You can experience the Japanese Futon mattress. The employees may not speak English but will welcome you with warm heartfelt hospitality. You can enjoy the different world from hotel life.